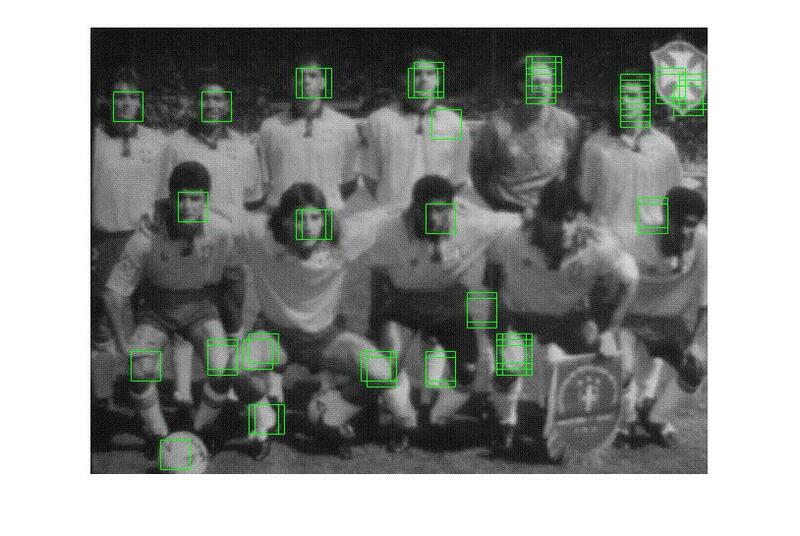 In this part, I trained an SVM over images of “face” or “not face” (36 × 36 pixels), using HOG features. I used VLFeat library for both HOG and the SVM. I divided the dataset into a training and a test set (80% and 20% respectively) and computed the HOG features for all of training and validation images. To improve the performance, images in training set could be flipped so we double the number of items in the training set. “non-maximum suppression” means if two bounding boxes have overlap and the overlap is higher than a given threshold, we take the one has a more confident scorer. Our face detector has been trained on the face of size 36×36, so we might get a poor result if the size of person’s face in the image is very larger than 36×36, so we resize our images and then we apply the face detector. 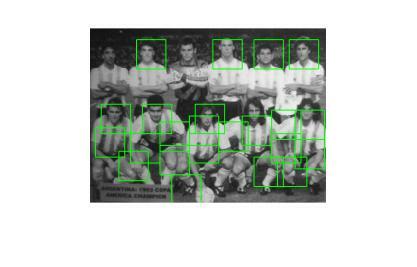 This entry was posted in Computer Vision, Image Processing, Machine Learning and tagged face detection, histogram of oriented gradient, HOG, machine learning, support vector machine, SVM on November 14, 2017 by admin. This is the part I of the work that I did for my master thesis (part II). In this work first, I computed HOG (Histogram of oriented gradients) on my images and then sent the computed histogram to a linear SVM (support vector machine). 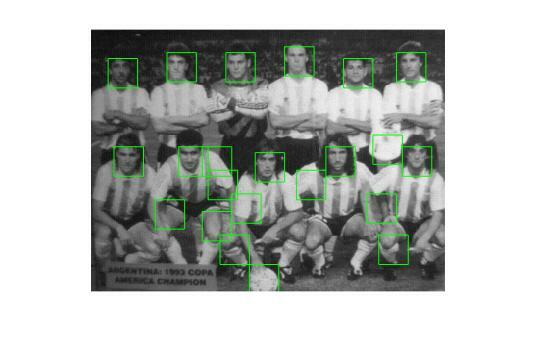 The SVM was trained with human and non-human images. 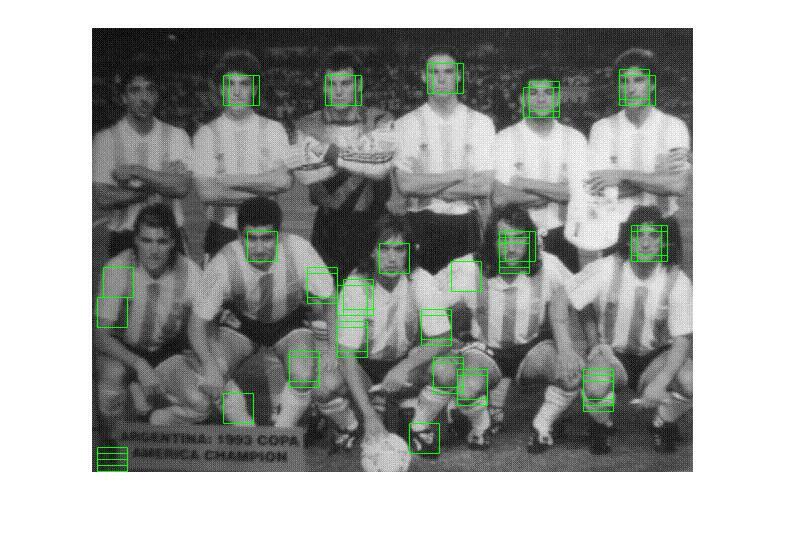 The output of the classifier was abounding box if there was any human in the image. 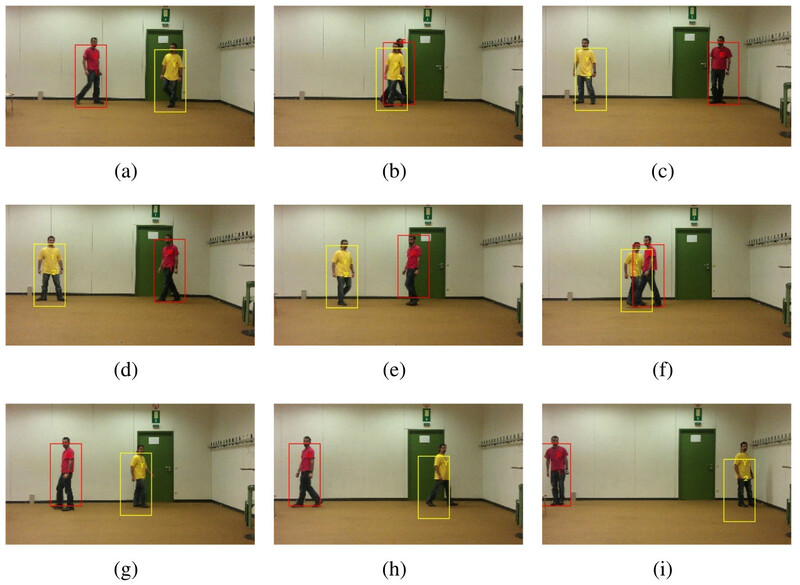 Feature extraction and object detection in HOG, Tiling the detection window in an overlapping grid of HOG descriptors and then using a SVM based window classifier gives the human detection chain. Image acquired from . 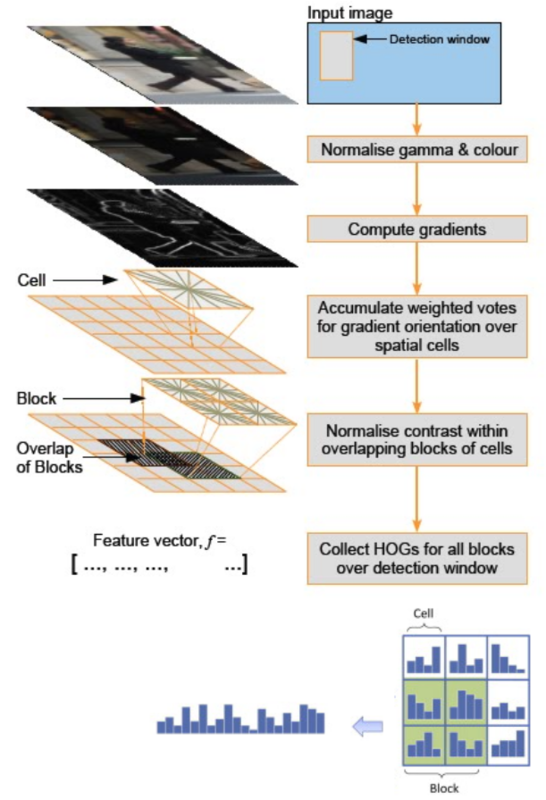 Overview of HOG, The detector window is tiled with a grid of overlapping blocks, Each block contains a grid of spatial cells. 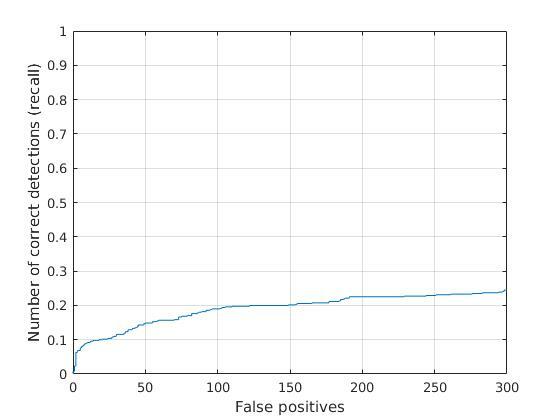 For each cell, the weighted vote of image gradients in orientation histogram is accumulated. 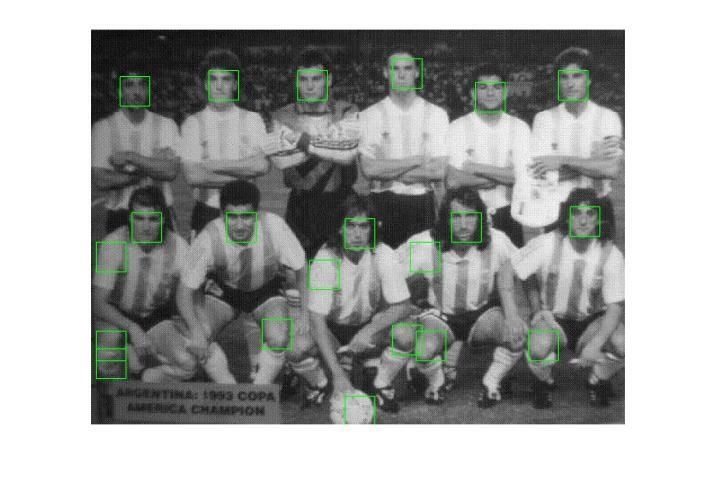 These 31 are locally normalized and collected into one big feature vector. Images acquired from . 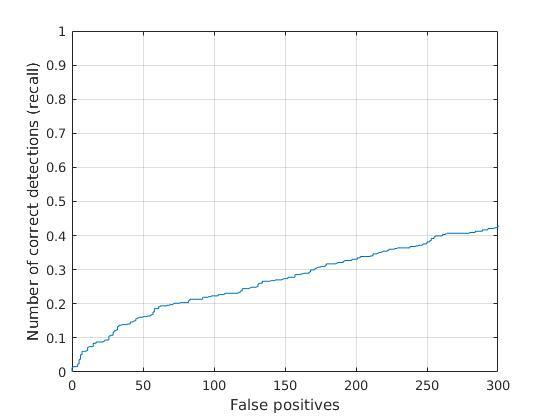 In the next, I used Kalman filter to track the detected human. To check the accuracy of my work, I created a ground truth based on the color tracker. You can read and download a similar one on my website here. The bounding box shows the Kalman filter prediction while the letter 1 or 2 indicate the human detection by HOG and letter R and Y are locations of the player detected by the color tracker. All text and images in this article are taken from my master thesis or respective publications, the full document can be downloaded here. N. Dalal and B. Triggs. 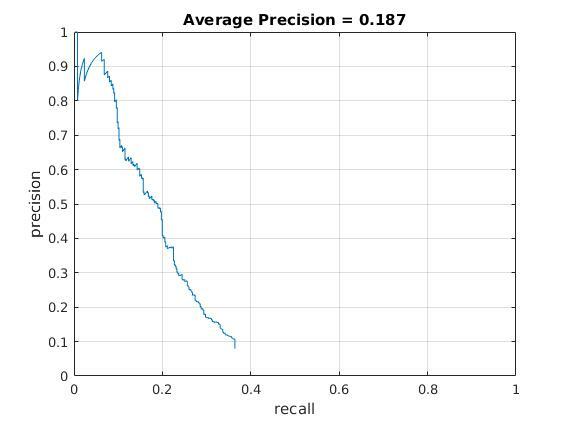 Histograms of oriented gradients for human detection. 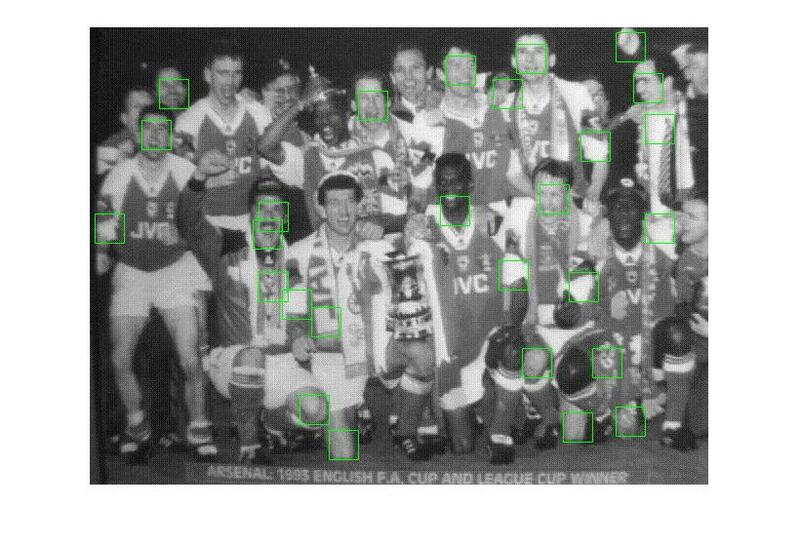 In Computer Vision and Pattern Recognition, 2005. CVPR 2005. IEEE Computer Society Conference on, volume 1, pages 886 –893 vol. 1, June 2005. doi: 10.1109/CVPR.2005.177. N. Dalal and B . Triggs. Histograms of oriented gradients for human detection., 2005. 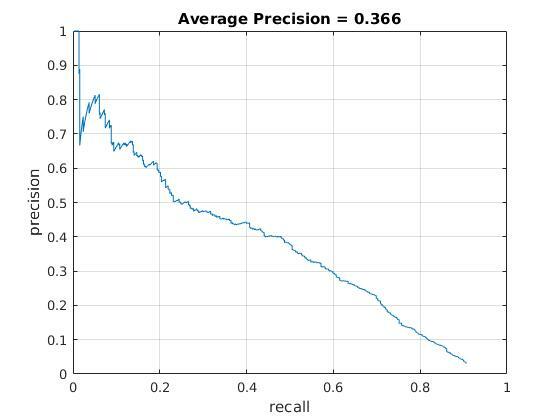 This entry was posted in Computer Vision, Image Processing, Machine Learning, Tutorials and tagged filter, histogram of oriented gradient, HOG, human detection, Kalman, machine learning, support vector machine, SVM, thesis, tracking on November 13, 2017 by admin.